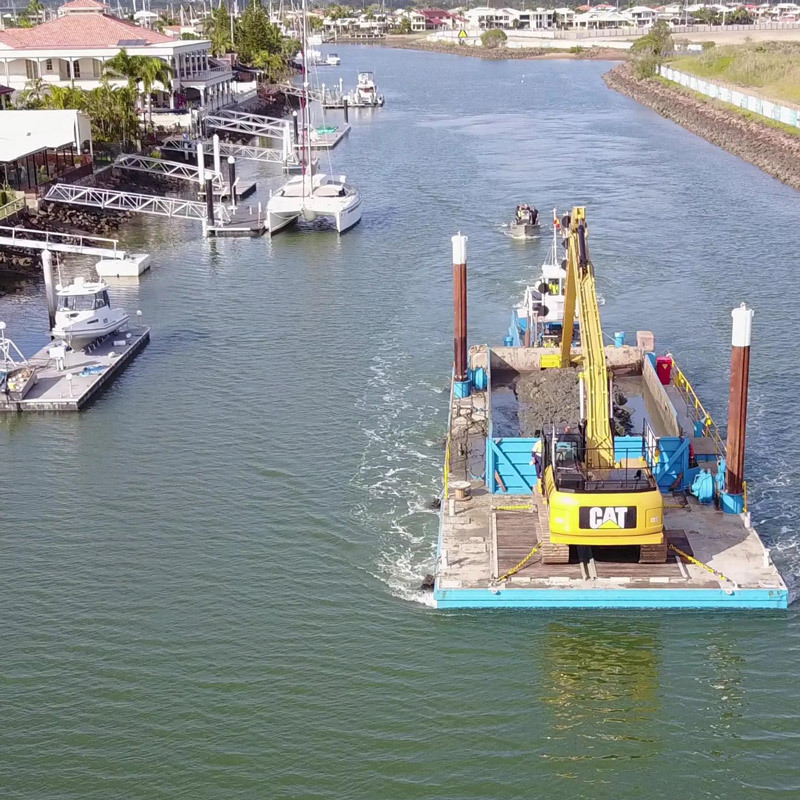 Birdon undertook maintenance dredging works within the Newport Canals for Moreton Bay Regional Council.The work included the removal of sediment within the canal system using a long reach excavator mounted on a hopper barge. 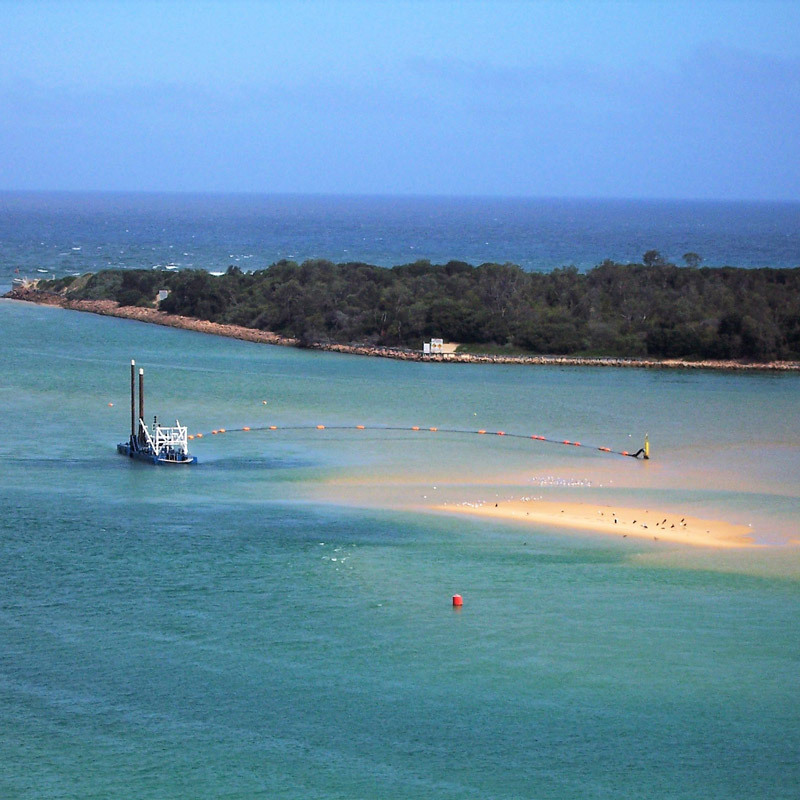 Sediment was excavated from the seabed and loaded directly into the hopperbarge before being transferred to a larger barge approximately 1km offshore. 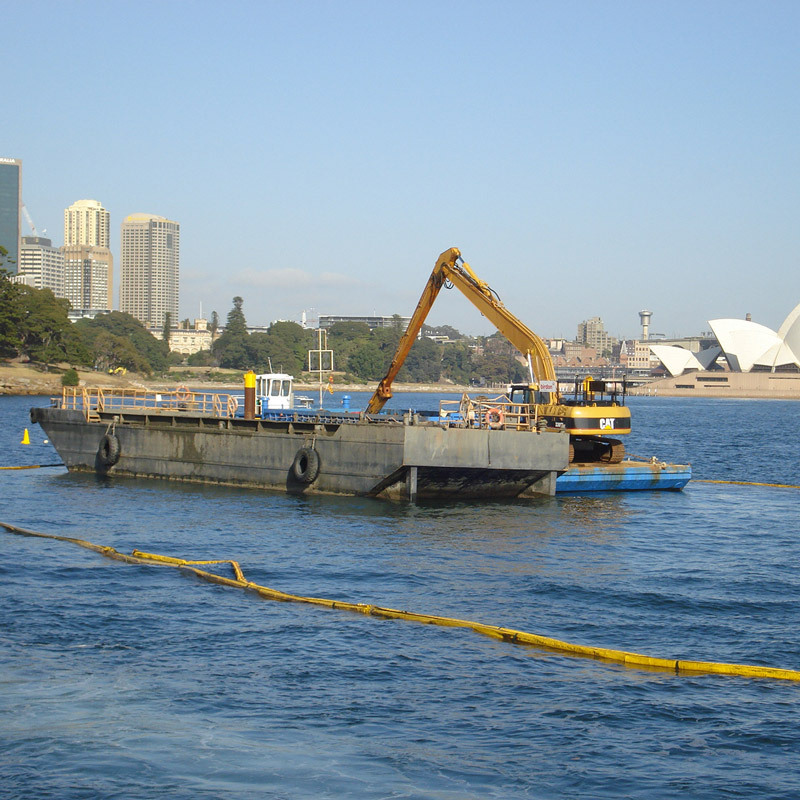 Once the larger barge reached capacity (500 cubic metres) it was then towed to Mud Island for disposal. 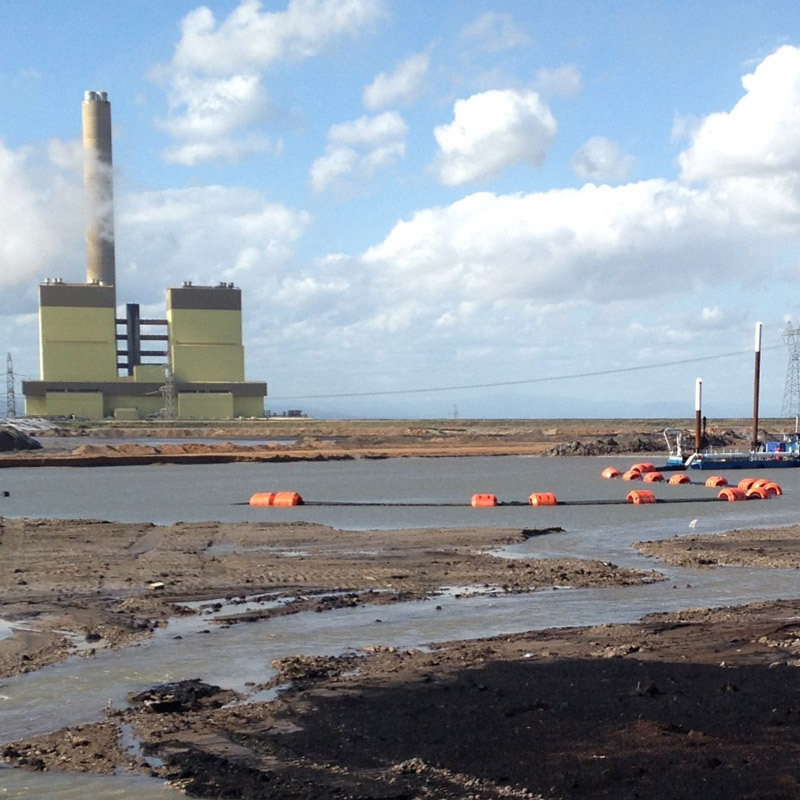 Birdon was contracted to dredge 1.4 million cubic metres of consolidated ash from two primary settling ponds at Loy Yang power station. The material was pumped 1 km to a newly constructed void for dewatering and long term storage. AGL Pty Ltd operates Victoria’s largest coal mine and power station –Loy Yang – responsible for the supply of one third of the state’s electricity. During the production process on site, fly ash and bottom ash had built up in the main settlement ponds. This required regular removal and transfer to a storage area. 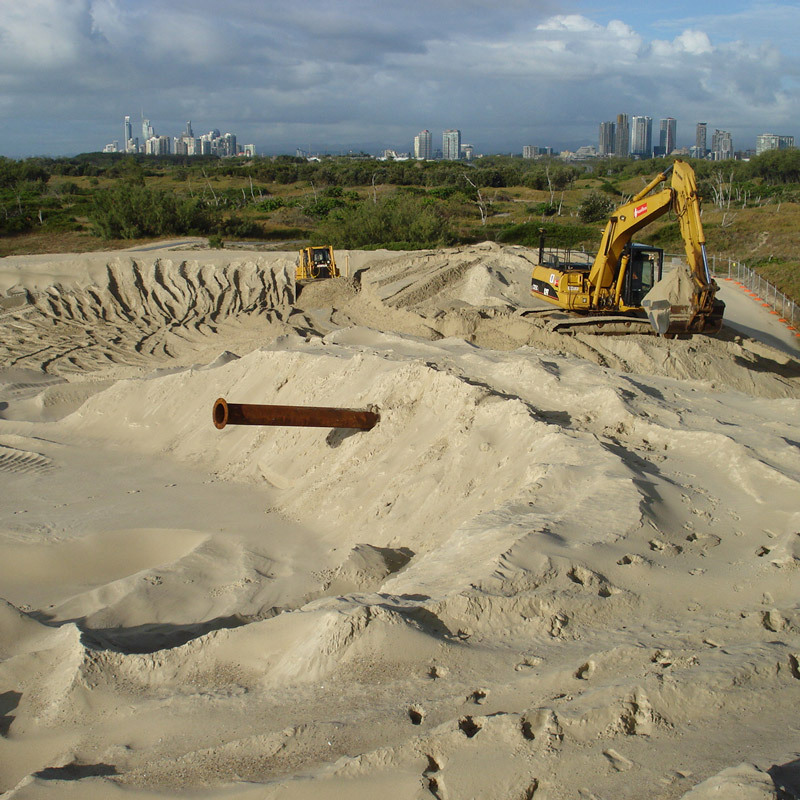 The work was undertaken using a 10-inch cutter suction dredge with the material pumped via a temporary pipeline to the elevated storage void. All work was undertaken while the power plant and settling ponds remained in operation. 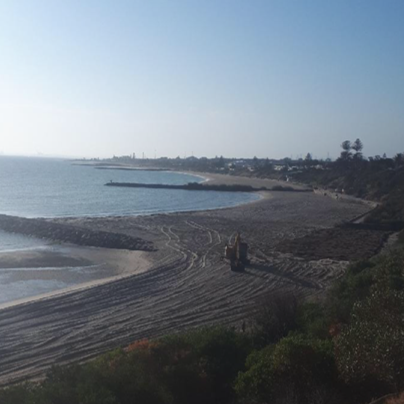 This required careful planning to achieve settling requirements while still leaving enough water for dredging operations. 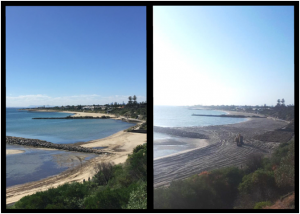 Birdon worked closely with AGL to amend the working area and adjust the scope of work which allowed the ponds to remain operational throughout the project. 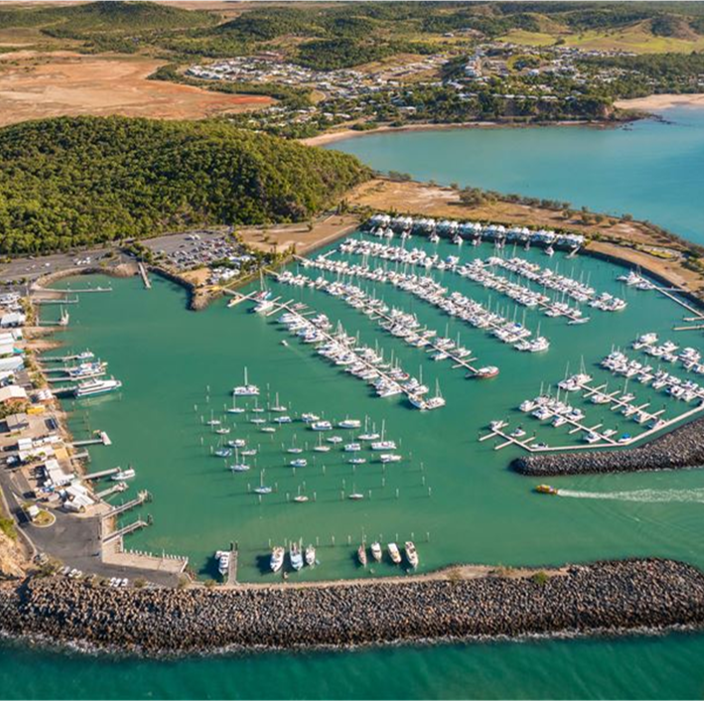 Lakes Entrance is home to the largest commercial fishing fleet in Victoria and increasingly is used by local and visiting recreational vessels. 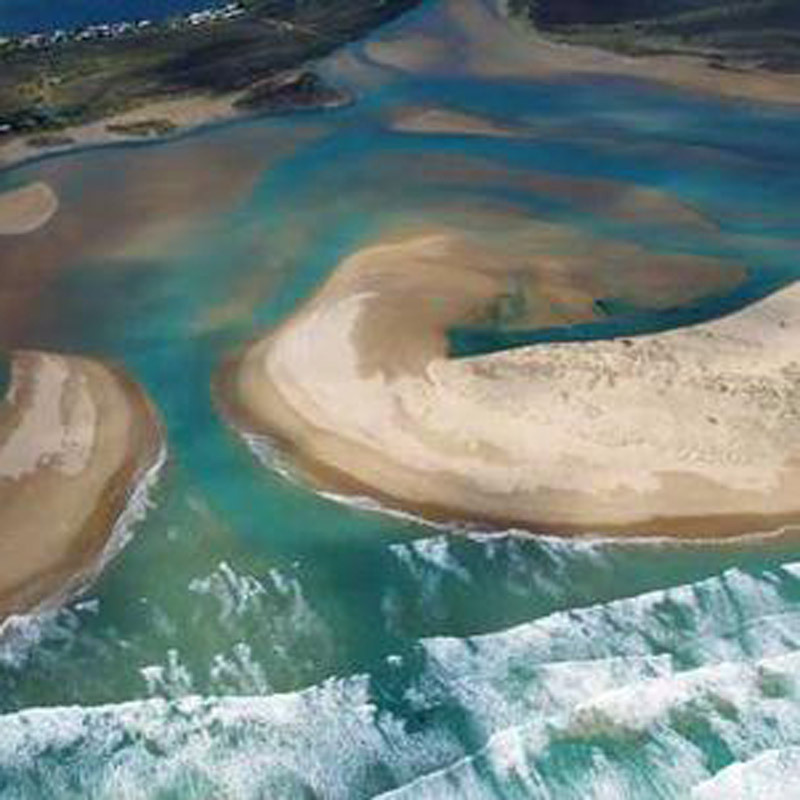 Regular dredging at the entrance to the Gippsland Lakes has occurred for more than 120 years and has been essential for maintaining access between the Gippsland Lakes and Bass Strait since the permanent entrance was constructed in 1889. 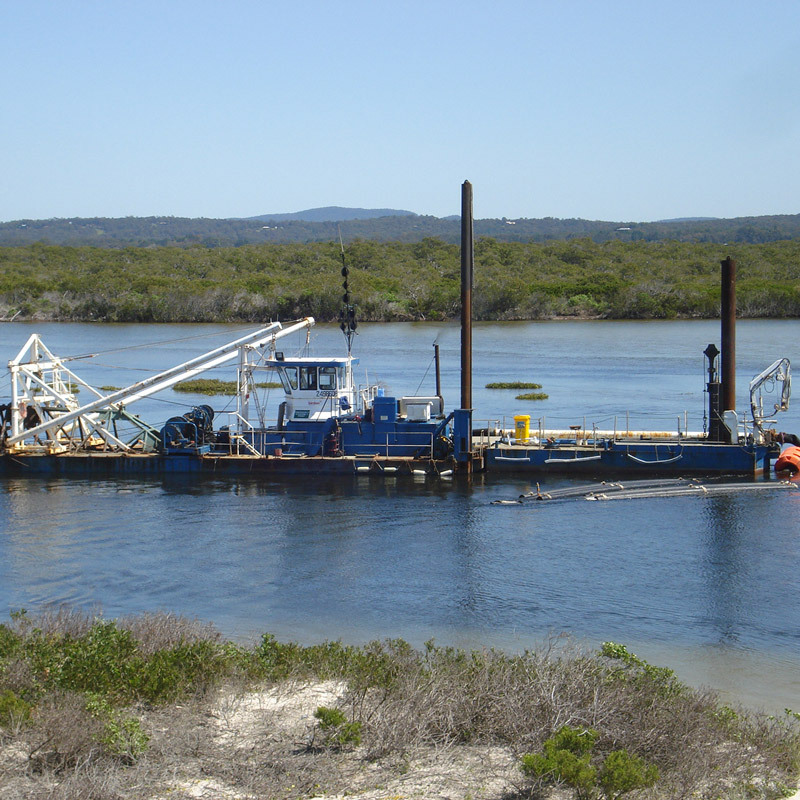 Gippsland Ports awarded Birdon the contract for the hire and operation of a cutter suction dredge for 18 months while they sourced their own dredge. 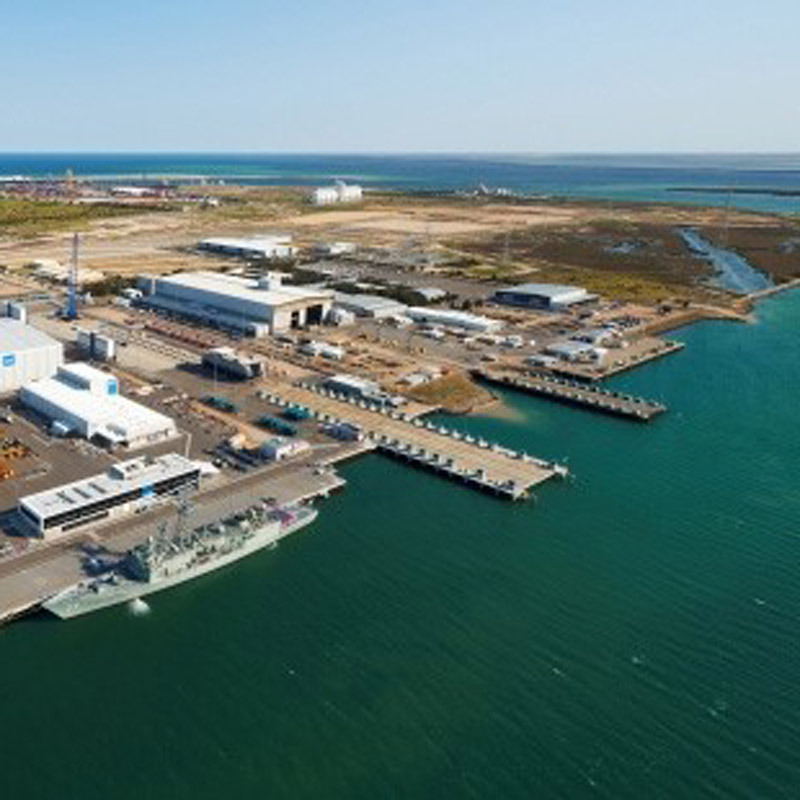 Birdon subsequently won the tender to build and supply a purpose-built cutter suction dredge for Gippsland Ports.